When you think of blazers, you probably think of something fairly classic. Navy or black, in a tailored cut appropriate for the most professional of occasions. But who said blazers can’t be bold? Plenty of brands are bending the rules, dialing up their designs when it comes to color, print, and even silhouette (or all of the above). 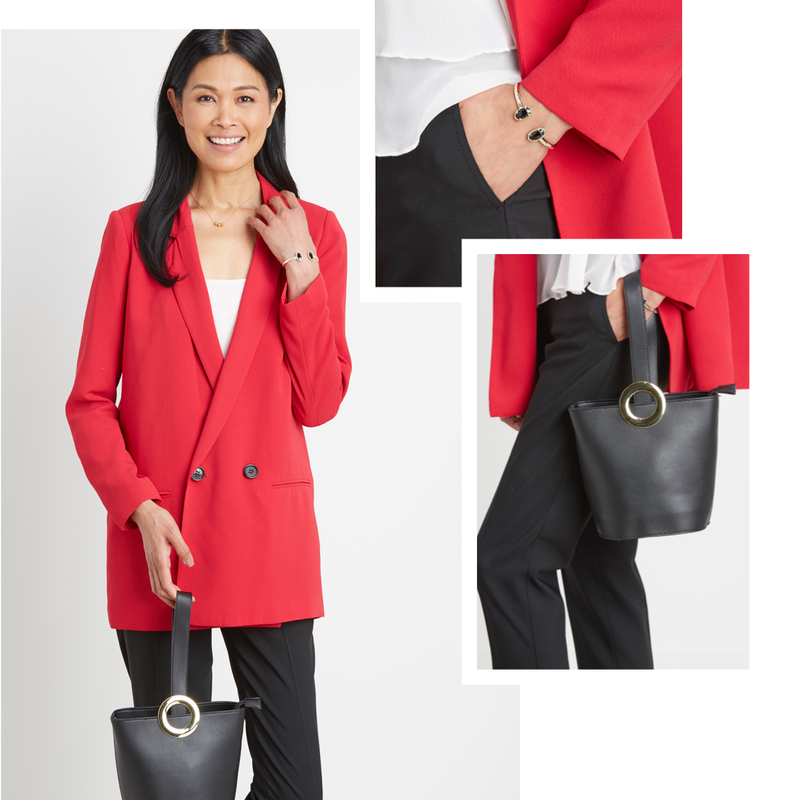 So as workwear becomes more casual and casualwear becomes more polished, a statement blazer is actually a pretty versatile way to brighten your wardrobe and inspire new outfits. For the purposes of this exercise, we went with a bright-red blazer. (It’s a color we’re really loving this season.) It punches up everything from light-wash denim to feminine frocks—but feel free to make any statement you like. 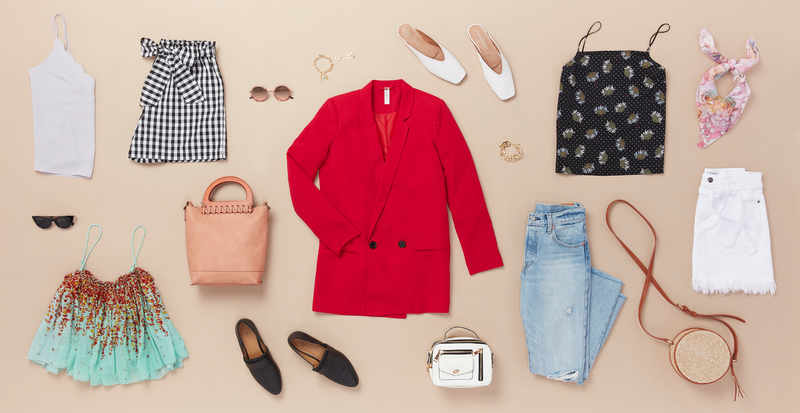 Whether you're planning office outfits or dressing for the weekend, here are five ways to style a statement blazer. This is an unexpected way to build a preppy summer look. Complement a boxy silhouette with high-waist paper-bag shorts and a silky cami. Think about incorporating a print—any bold color looks great against black and white (and we love gingham). In-office style is instantly upgraded when you trade in standard suiting hues for a vibrant blazer. Balance this structured top layer with a subtly ruffled blouse and sleek heels. A bucket bag makes a fashion-forward finishing touch. Two words: date night. This pairing works best when proportions are balanced, so you’ll likely want to start with something in the body-con family. Toss in a few romantic accessories, like a Parisian-inspired silk scarf and pointy-toe heels, and get ready for some serious swoons. This is a look that calls for mimosas. Top off a denim skirt and printed blouse with your blazer to kick things up a notch. Platform sandals balance out soft tailoring, evoking stylish brunch-ready vibes. This is our fool-proof solution for the classic desk-to-dinner situation. It dresses up boyfriend-style denim with a bit of distressing, creating a cool contrast with some serious versatility. It works so well, you’ll find yourself reaching for this combo on the weekends, too.